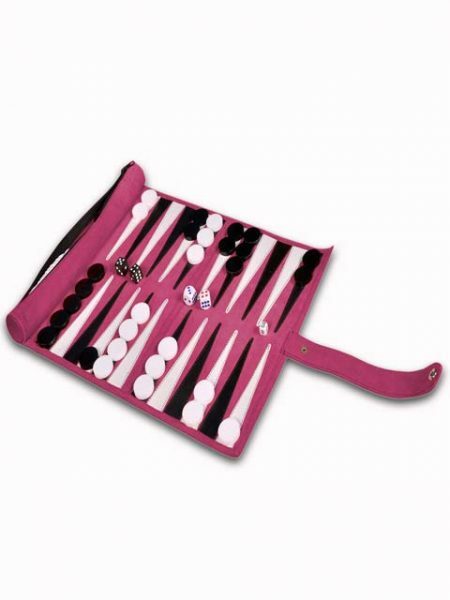 Our Attach'e Backgammon is the first choice of Professional Backgammon Players. Our qualified skilled artisans has used 1st grade plane red cow leather to create this unique and elegant Attach'e Backgammon. The inlaid playing points helps player to move the checkers and the dices speedily and smoothly in the playing area . Precious acrylic checkers and hand stitched dice cups not only increases the beauty of the board and creates a beautiful combination but it is also the top priority for backgammon lovers and professional players. 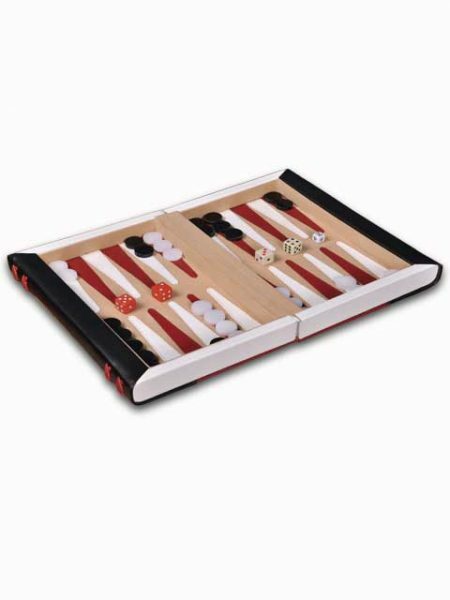 Our Attach'e Backgammon is the first choice of Professional Backgammon Players. 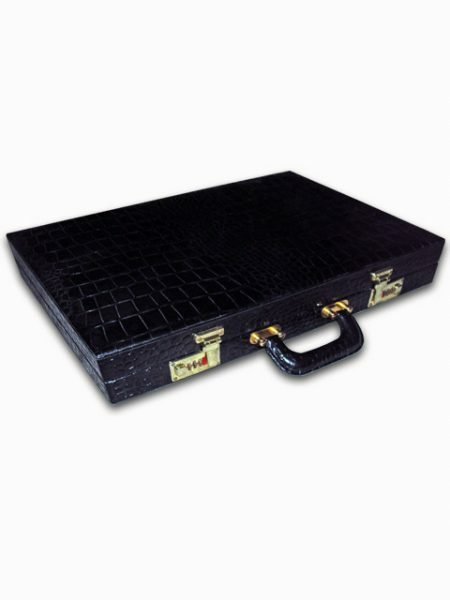 Our qualified skilled artisans has used 1st grade plane black cow leather to create this unique and elegant Attach'e Backgammon. The inlaid playing points helps player to move the checkers and the dices speedily and smoothly in the playing area . 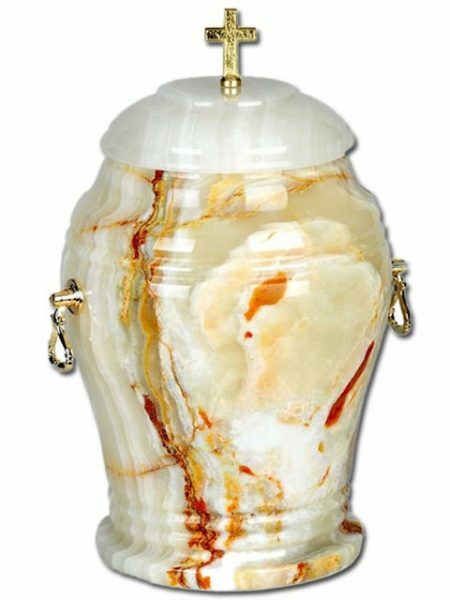 Precious acrylic checkers and hand stitiched dice cups not only increases the beauty of the board and creates a beautiful combination but it is also the top priority for backgammon lovers and professional players. 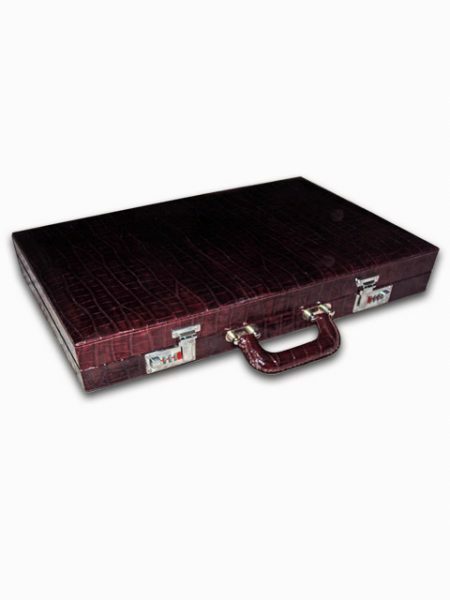 Our Attach'e Backgammon is the first choice of Professional Backgammon Players. 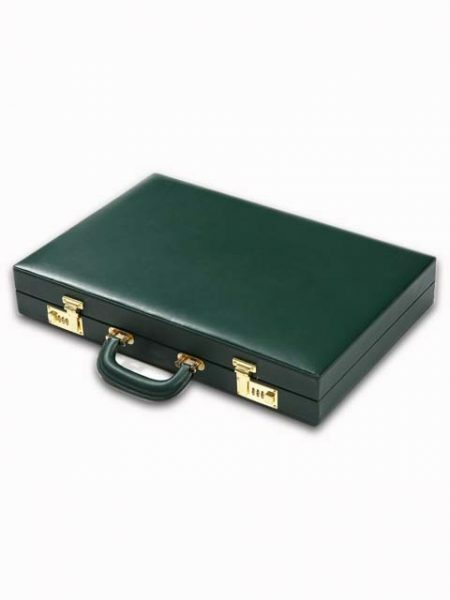 Our qualified skilled artisans has used 1st grade plane green cow leather to create this unique and elegant Attach'e Backgammon. The inlaid playing points helps player to move the checkers and the dices speedily and smoothly in the playing area . 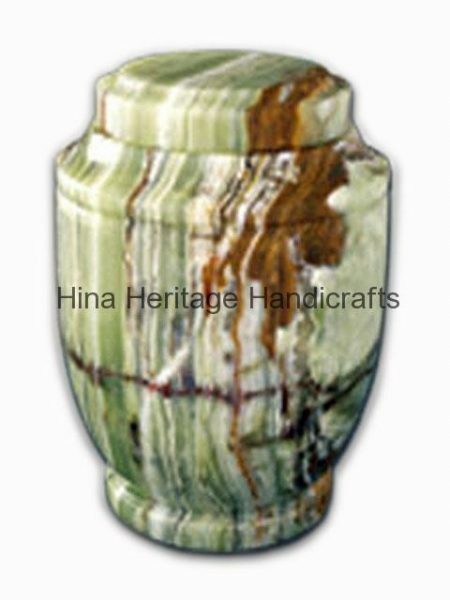 Precious acrylic checkers and hand stitiched dice cups not only increases the beauty of the board and creates a beautiful combination but it is also the top priority for backgammon lovers and professional players. 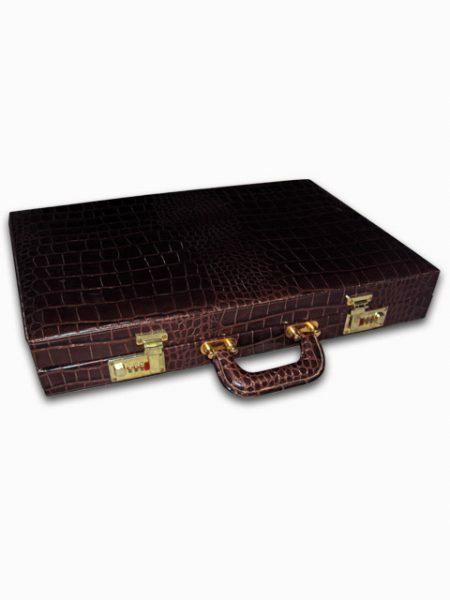 Our Attaché Backgammon is the first choice of Professional Backgammon Players. 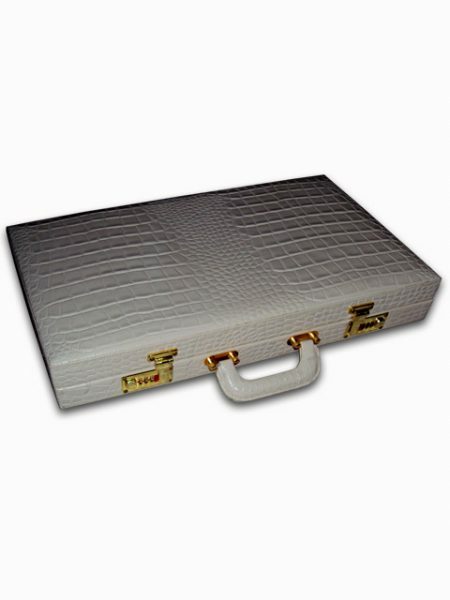 Our qualified skilled artisans has used 1st grade crocodile texture cow leather to create this unique and elegant Attaché Backgammon. The inlaid playing points helps player to move the checkers and the dices speedily and smoothly in the playing area . Precious acrylic checkers and hand stitched dice cups not only increases the beauty of the board and creates a beautiful combination but it is also the top priority for backgammon lovers and professional players. Another classic style of backgammon in book shape. 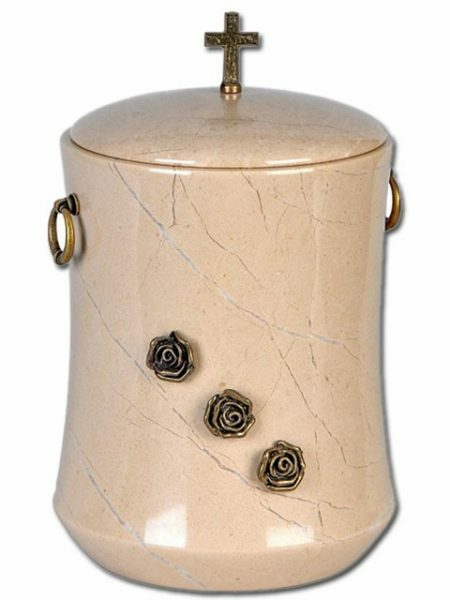 Beautifully crafted by our skillful artisans. 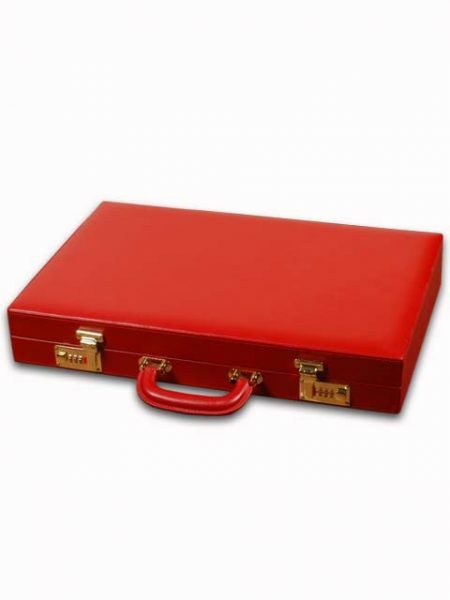 Black and Red cow leather gives an eye catching combination to this beautiful product. Playing points were stitched on soft look playing field. Precious acrylic checkers and hand stitched dice cups not only increases the beauty of the board and creates a beautiful combination but it is also the top priority for backgammon lovers. This is our latest range of Zipper Roll up backgammon made from 100% suede leather. Suede leather is made of underside of skin, primarily lamb although goat, calf and deer are commonly used. Sky Blue exterior of the board gives it a sophisticated look. Each board has been designed and crafted by hand maintaining high finish of the product, so it can meet to the taste of backgammon lovers. It lays 100% flat on any type of surface when open. These roll ups are secured with a strap and popper. Playing points are stitched on playing field. This is our latest range of Zipper Roll up backgammon made from 100% suede leather. 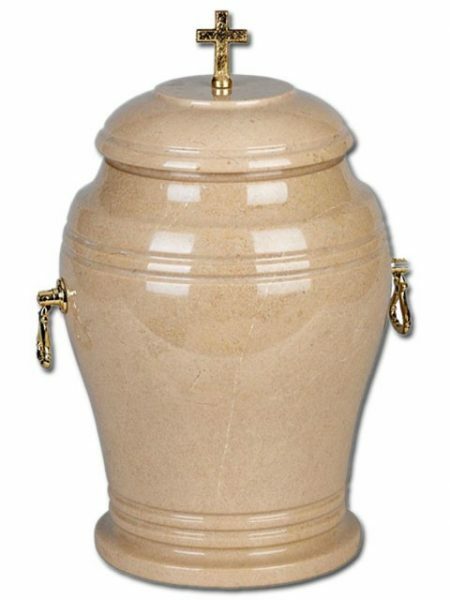 Suede leather is made of underside of skin, primarily lamb although goat, calf and deer are commonly used. Pink exterior of the board gives it a sophisticated look. Each board has been designed and crafted by hand maintaining high finish of the product, so it can meet to the taste of backgammon lovers. It lays 100% flat on any type of surface when open. These roll ups are secured with a strap and popper. Playing points are stitched on playing field. 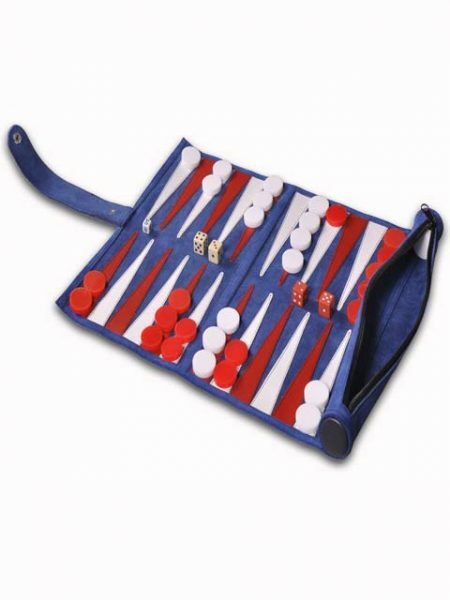 This is our latest range of Zipper Roll up backgammon made from 100% suede leather. Suede leather is made of underside of skin, primarily lamb although goat, calf and deer are commonly used. Sky Blue exterior of the board gives it a sophisticated look. Each board has been designed and crafted by hand maintaining high finish of the product, so it can meet to the taste of backgammon lovers. It lays 100% flat on any type of surface when open. These roll ups are secured with a strap and popper. Playing points are stiched on playing field.